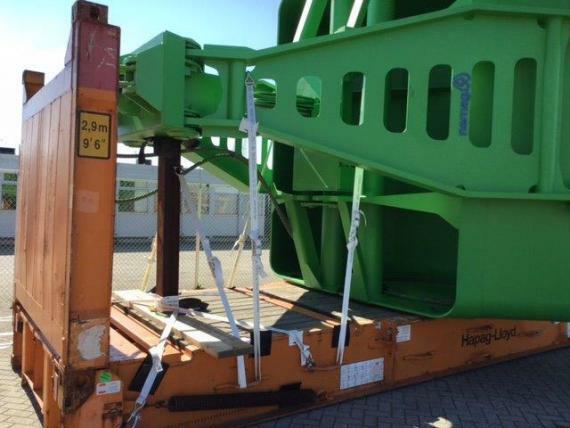 Members in the Netherlands and Georgia, M-Star Freight Services are pleased to share an OOG project they are currently handling. 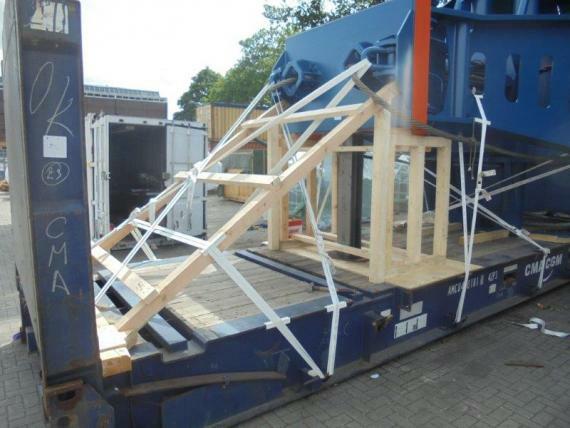 For the past year, M-Star have been organising shipments of 'grabs' to worldwide destinations. 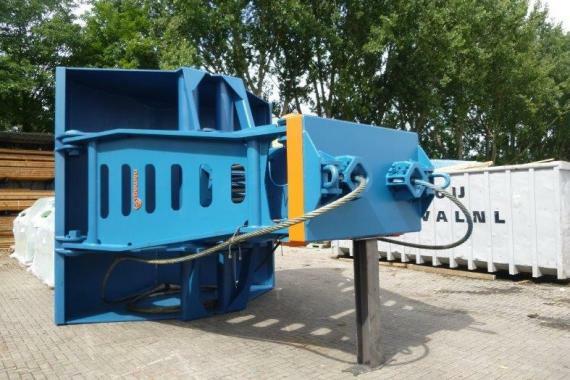 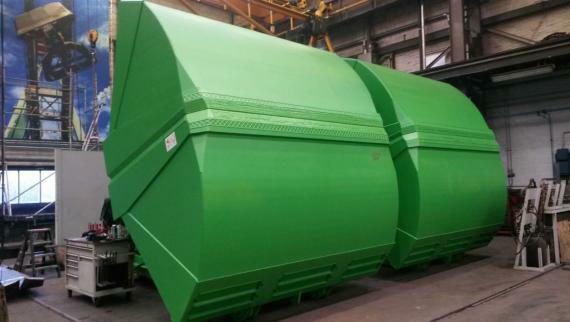 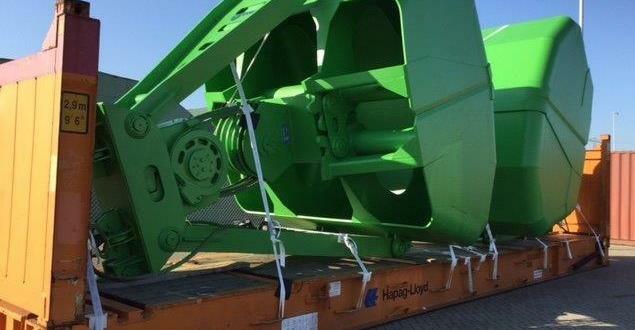 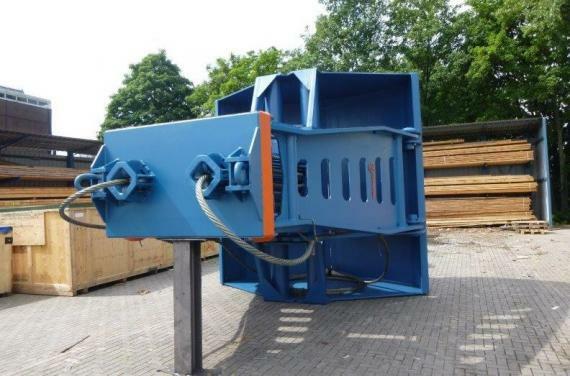 The grab units are used in bulk handling operations and have capacities from 25-60cbm. 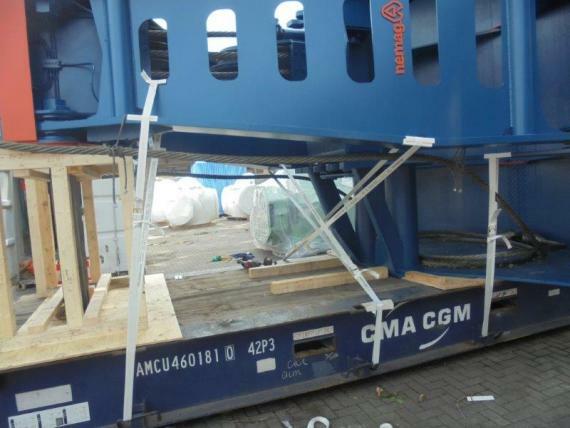 See below for photographs. 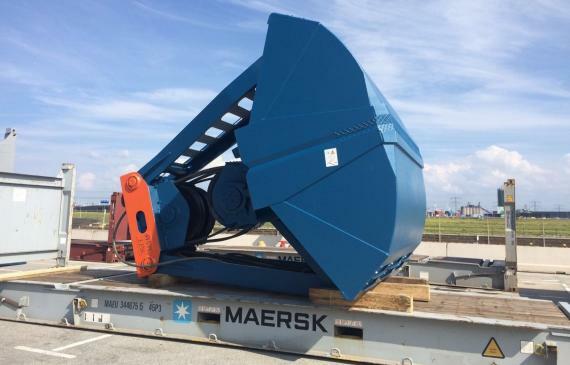 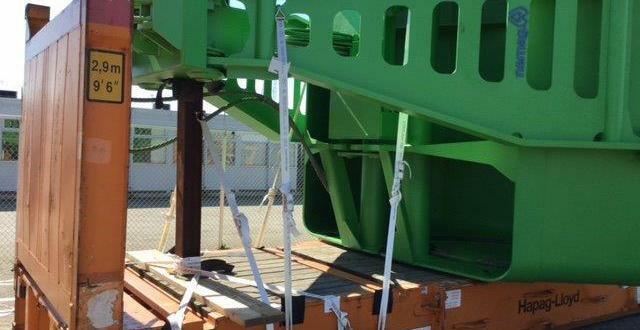 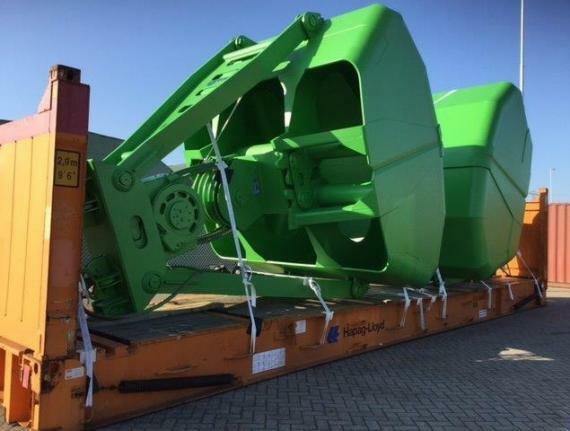 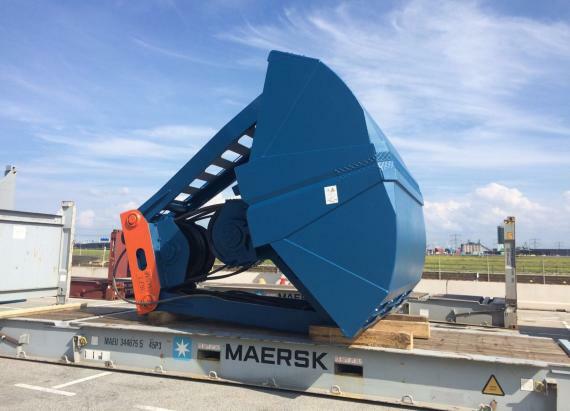 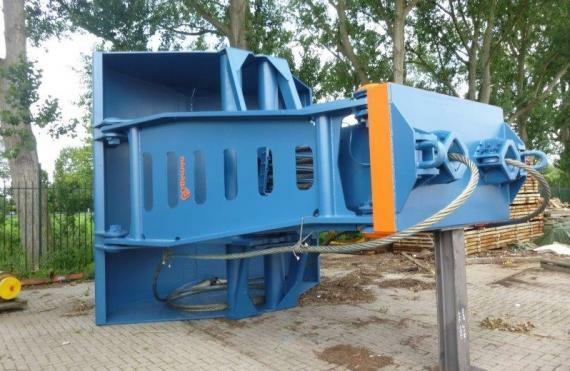 Peter Terhorst (General Manager of Export and Projects) comments; "We found the right solutions for our client by loading, lashing and securing the cargo onto flat containers and for the bigger units, we shipped on a breakbulk service".